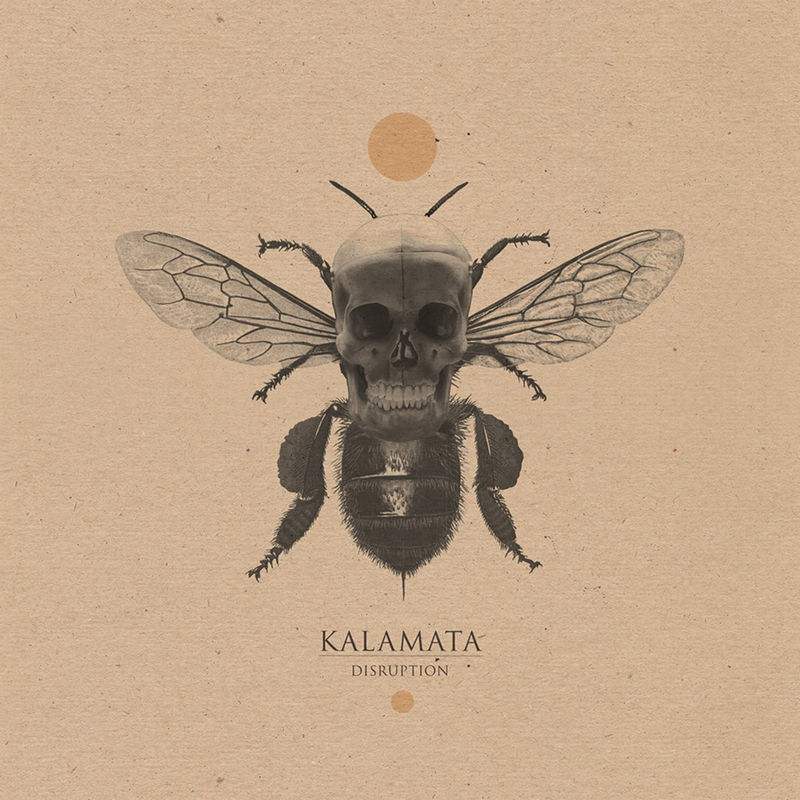 It's been longer than I'd hoped since we last heard from the German crew of Kalamata, but their time away has borne excellent fruit in the form of this new album, Disruption. 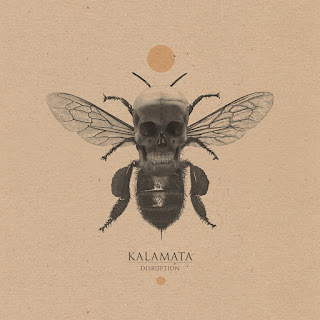 Happily, Kalamata still have the same understated sense of humor glazing the music as with the last album, as the track titles make clear; in progression, those are “MY”, “ERECTION”, “SHOWS”, “ME”, “THE”, and “DIRECTION”. Keeping their old 'desert rock drowning in doom' dynamic alive and well, Kalamata also show a growth (and though I'm hesitant to use such a loaded word, you could also call it 'maturation') in the arrangement and escalation of their songs. Brooding periods of echoing strings, building drum-beats, and tone meditation lead to roaring onslaughts of nasty, gnashing grooves, while elsewhere, slow cruising through uncurling melodies calls to mind the best of the '70s heavy psych bands. It's not an album for playing in your car (unless you're, say, spending multiple hours on a highway with no change-offs), but something to let yourself sink into and absorb with as few distractions as possible. The ramping up to the finish in “DIRECTION” is done so damn well that I'm already wishing I could hear the album for the first time again, but at the same time, I have the feeling that I'll be noticing new details with each listen for quite a while to come. Heavy music fans of any stripe or inclination, give this a try; unless you just have to have vocals in the mix, I'd say this is an album that truly has something for all of you (though, admittedly, sludge is kind of low in the ratio). Excellent work, Kalamata. And hey, could you guys restock your patches soon, please?